The controlling family living next door to Lester and Carolyn Burnham (Kevin Spacey and Annette Benning) provides the crucial plot twist in this 1999 Best Picture Oscar winner. Chris Cooper plays Col. Frank Fitts, an ultra-rigid, abusive ex-Marine married to a near-catatonic wife and dominating a secretive son. (1999) More about the movie. Adapted from Alan Ball's screenplay. Faye Dunaway portrays actress Joan Crawford's heart-wrenching abuse of her adopted daughter Christina, played by Mara Hobel and Diana Scarwid. (1981) More about the movie. Adapted from Christina Crawford's non-fiction account. Jeff Daniels plays a darkly-self-absorbed father whose rocky marriage and divorce to wife Joan (Laura Linney) causes angst and acting out in the couple's two boys. (2005). More about the movie. The movie, written and directed by Noah Brumbach, won Sundance Film Festival honors. 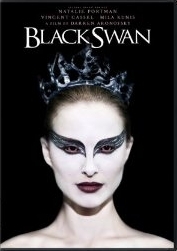 Natalie Portman won the best actress Oscar for her riveting performance as a ballerina tragically driven by her own demons and by her darkly perfectionistic and overbearing mother, played brilliantly by Barbara Hershey. (2010) More about the movie.